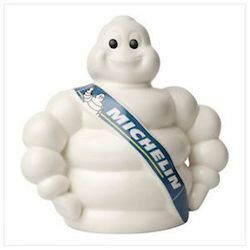 Once upon a time, wearing a down jacket made you look a bit like the Michelin Man. That’s not the case anymore. Today’s down jackets are slimmer and sleeker, with a lot more style than they had in the past. Lightweight, warm, easy to pack and carry, puffies have pretty much revolutionized the way we dress to ski. What’s more, they’re available in a wide range of weights and thicknesses. There are puffies made with goose down, duck down, a mix of the two, and yes, even synthetic down. It’s easy to see why puffies are so popular. Down is an amazing insulator. 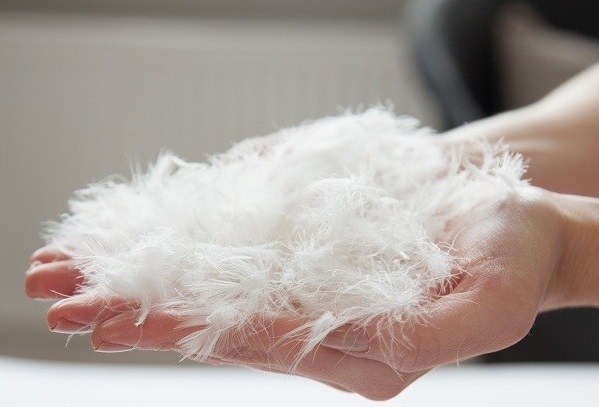 The soft under feathers of a bird, down contains thousands of tiny air pockets that trap and retain warm air. Goose down is regarded as the warmest and lightest, but duck down or a mix of goose and duck is often cheaper and can still keep you warm. I’ve learned through experience that buying a puffy isn’t easy. The variety of materials in the down universe can be pretty confusing. And if that isn’t enough, the pesky numbers you see on the sleeves — 600 fill, 700 fill, 800 fill — can make it hard to assess just how warm a particular jacket will be. I know; it sounds like some sort of superpower, doesn’t it? And maybe it is, because damn, these jackets are warm! But fill power actually comes from a standardized test that measures the amount of cubic inches that one ounce of down occupies.. The higher the fill power, the more air a certain weight of down can trap, and thus the greater its insulating ability. Down with a high fill power requires less down to fill a space and reach a certain temperature rating. So a +20°F jacket with 700-fill-power down will be lighter than a +20°F jacket using 600-fill-power down (assuming the fabrics and other features are comparable in weight). Now here’s where it gets confusing: You can’t rely on the fill power rating alone to determine how warm a jacket will be. Why? Because you have to consider the weight of the down being used, too. So a jacket with four ounces of 800 fill power may be similar in warmth to a jacket with 8 ounces of 650 fill power. Despite its good insulating properties, down has two drawbacks: First, it can be pretty expensive. And second, it’s not water resistant, so it loses its ability to keep you warm when it gets wet. Synthetic down is essentially polyester threading molded into long, single threads or short staples to mimic down clusters. The upside to synthetics is that they retain their insulating properties, even when wet. The downside: they have a higher weight-to-warmth ratio than down, meaning a jacket with synthetic down has to be heavier to be as warm as a comparable down jacket. One of the most well-know synthetics is PrimaLoft insulation. Developed for the US Army in the 1980’s, PrimaLoft has become the insulating material of choice for a large number of apparel manufacturers. 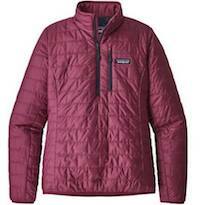 Patagonia’s popular Nano-Puff and Micro Puff jackets, for example, are made using a variety of PrimaLoft, as are TheNorthFace’s Thermoball jackets. Synthetic insulation has other benefits, too: It tends to be more economical than natural down, it’s naturally hypoallergenic, and it’s pretty easy to care for. If you’re set on down but aren’t thrilled by its lack of water resistance, you’re in luck. Developed just a few years ago, Hydrophobic Down was designed to perform in wet conditions. The down fibers are treated with a durable water repellent (DWR) coating that allows them to dry faster and resist water longer. No, they’re not 100% waterproof, but they’re a step in the right direction. Many companies have their own variety of Hydrophobic Down available. When combined with an exterior DWR jacket surface, the result can be very effective. If you’re like me, you don’t want an animal to suffer just so you can wear a nice jacket. So how your down is sourced can be worth looking into. Down has to be harvested directly from ducks or geese, and there are three ways this is generally done: after slaughter; live plucking and brushing the molted feathers off of birds; or gathering them from the nests after they’ve fallen off. There’s much controversy about live plucking, and many animal rights activists view it as animal cruelty. Some companies have adapted standards to ensure that their down was gathered humanely. Patagonia, for example, employs a Traceable Down Standard to ensure that the birds that supply it are protected by the strongest animal welfare and consumer assurance standards. These include requirements in all areas of the birds’ lives, and especially protects against force-feeding and live-plucking. Similarly, TheNorthFace adheres to the Responsible Down Standard, which ensures that its down does not come from animals that have been subjected to any unnecessary harm, such as force-feeding or live-plucking. Other manufacturers may use the same or similar standards. 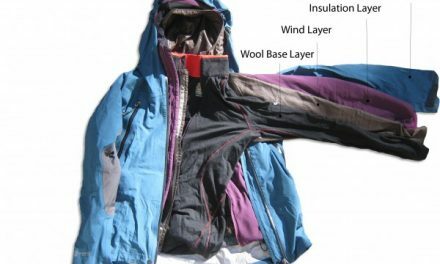 If figuring out which type or fill power of down you want isn’t complicated enough, you also need to consider the way the jacket incorporates down into its structure. Most down jackets are made using either sewn through or box baffle construction. In sewn through jackets, the lining and shell are sewn directly together to create separate baffles which contain the down. This is cheaper and easier but causes some areas of the jacket to pinch the down, resulting in areas that are not very well insulated. Box baffle is warmer, though it can also be more expensive. The baffles are created individually with sidewalls that keep the down in place, essentially building cubes for the down. This allows the down to keep its loft better so you stay warmer. The down is distributed more evenly, without the pinched areas that can cause it to lose some of its insulating power. So which jacket should you get? That’s a tough one. It depends upon your level of activity; your ability to tolerate either warmth or cold (I get cold pretty easily); and how much money you’re willing to spend. Truly, there are down or synthetic down jackets good for everything from running around town to sitting on a chairlift in a wind chill of -20°F. 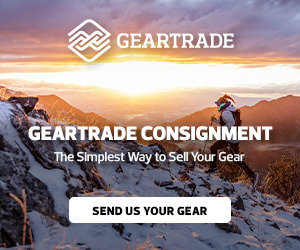 Basically, you want to choose a jacket that has the appropriate warmth, weight, durability, and breathability/water resistance you need, given your chosen activity. Explore your options, do your research, and yes, try some on. Happy shopping! 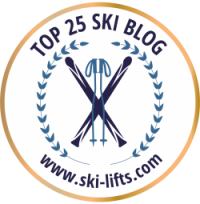 NextThings every woman skier should know. 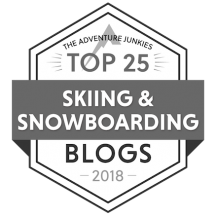 The Ski Reviews Are Coming Out!